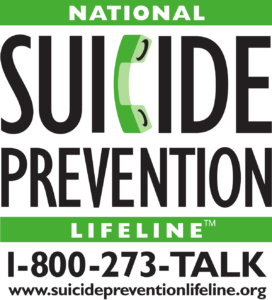 If you are worried that someone is in immediate danger or may have already acted on suicidal thoughts, call 911. New or changed behavior should raise red flags, particularly if related to a painful event, loss, or change. Easily accessible, 24/7 resources are available for someone in crisis. Share the National Suicide Prevention Lifeline number – 1-800-273-TALK (8255) – and Crisis Text Line information – text ‘Got5’ to 741-741. Learn more about the #BeThe1To campaign to spread the message about the five steps everyone can take to help someone in crisis. American Foundation for Suicide Prevention (AFSP). Risk factors and warning signs. 2016. Retrieved from American Foundation for Suicide Prevention. Suicidal thoughts come and go. Make a promise to yourself not to do anything right now. If you are not sure how to talk about your suicidal thoughts, describe your internal thoughts. If you have a plan, explain it. Specifically say that you are thinking about suicide. If you do not feel comfortable saying these things, write a note, email, or text and sit with the person while the message is being read. Contact your primary or mental health care provider and make an appointment. Visit the New York State Office of Mental Health Program Directory to find a behavioral health provider near you. If you have lost someone to suicide, you are not alone. There is a “loss survivor” community out there made up of individuals who have been greatly impacted by the loss of a friend or family member to suicide. Losing someone to suicide shocks the senses and can leave loss survivors feeling that life is futile and unfair. Loss survivors may also experience a complex grief characterized by guilt, blame, fear, and confusion. Questions are left unanswered for those who struggle to understand why. There is no right or wrong way to cope with a suicide loss. For more information, visit the resources for loss survivors pages of the American Foundation for Suicide Prevention (AFSP), the National Suicide Prevention Lifeline, and the American Association of Suicidology. There is no “common” reaction following an attempt. You could be feeling several ways, none of which are unusual. Acknowledge those that supported you by thanking them and letting them know you appreciate their support. If thoughts of suicide return, do not keep them to yourself. Talk to someone you trust, contact your primary or mental health provider, or find a support group. If you do not have a mental health provider, visit the New York State Office of Mental Health Program Directory to find a provider near you. Ask your mental health provider to help you create a safety plan. You can even download the MY3 app on your Apple or Android device to store your safety plan, to identify three people you would contact in a crisis, and to keep a list of mental health resources on hand. For additional information and resources, visit the American Foundation for Suicide Prevention (AFSP), National Suicide Prevention Lifeline, or the American Association of Suicidology attempt survivor pages. Visit Live Through This for stories from attempt survivors. American Foundation for Suicide Prevention (AFSP). Risk factors and warning signs. 2016. Retrieved from https://afsp.org/about-suicide/risk-factors-and-warning-signs/.